HOW DOES OUR COMMERCIAL ELECTRICIAN PROGRAM WORK? We utilize a time-proven method of training craftspeople that integrates on-the-job training with classroom instruction. At I-TAP, our students receive most of their training on the jobsite, working under the supervision of skilled journeypersons. But, for two weeks per semester, our students leave the field and move into the classroom—with classes being held during the day for five days each week—where they study theory and code. In I-TAP’s program, there are no evening classes, with exhausted students working a full day before coming to class. You’ll have your evenings free, and won’t have to sacrifice time with your family or your social life as with traditional programs. The program’s curriculum, which focuses on theory and code, was written and is taught by knowledgeable industry professionals. The curriculum is updated on a continual basis to reflect industry and code changes. Because I-TAP believes that lab work is an invaluable learning tool, 25 to 35% of each semester is spent on labs. I-TAP students will have opportunities to work in hospitals, office buildings, shopping malls, schools and much more. Classes are interactive, incorporating lecture, group study, and lab work. In class, students will study theory and code to give them a better understanding of the work they do in the field. I-TAP highly values lab work as a way to give students a chance to apply what they have learned in real-world situations. The importance placed on lab work is why I-TAP has chosen to integrate its lab and classroom facilities, instead of sharing labs with other classes, as is the format for most other programs. In this fashion, I-TAP maximizes our students’ opportunity to participate in lab-based learning. I-TAP has built a lab facility which closely mirrors situations apprentices will see in the field, and students will spend between 25 to 35% of each semester doing hands-on lab work. I-TAP offers twice as many labs as other electrical training programs, with an average of more than 12 hours of hands—on lab time each week. I-TAP takes pride in being the only school in Northern California that ensures that there is sufficient lab equipment for each and every student-no more than 2 students will ever have to collaborate on a project. Apprenticeship programs are typically 3 to 5 years in length, depending on the trade. By federal law, apprentices are required to complete 144 hours of classroom instruction each year. 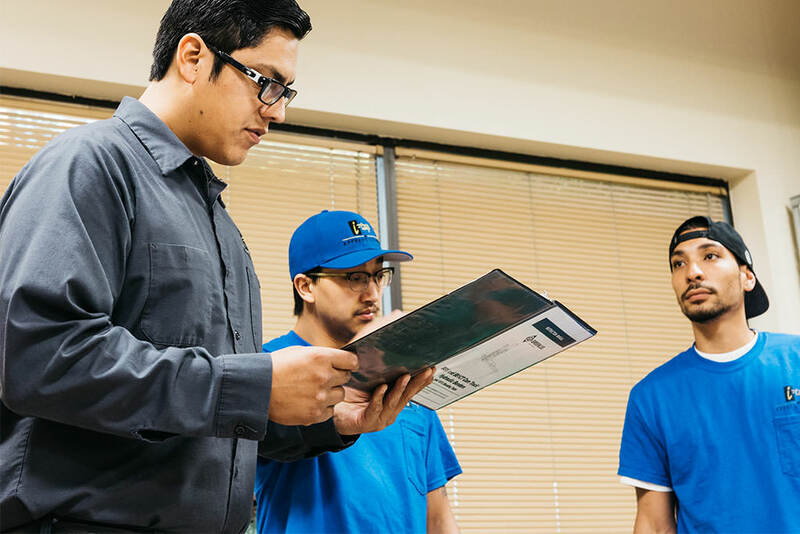 In the I-TAP program, students receive 160 hours of classroom instruction per year, which meets federal and state standards for apprentices and trainees. Those in our 5 year Electrician Training Program will take the Electrical Journeyperson Certification Exam in the final year of the program, which I-TAP guarantees they will pass. Upon graduation, all I-TAP students become journeypersons in their trade.